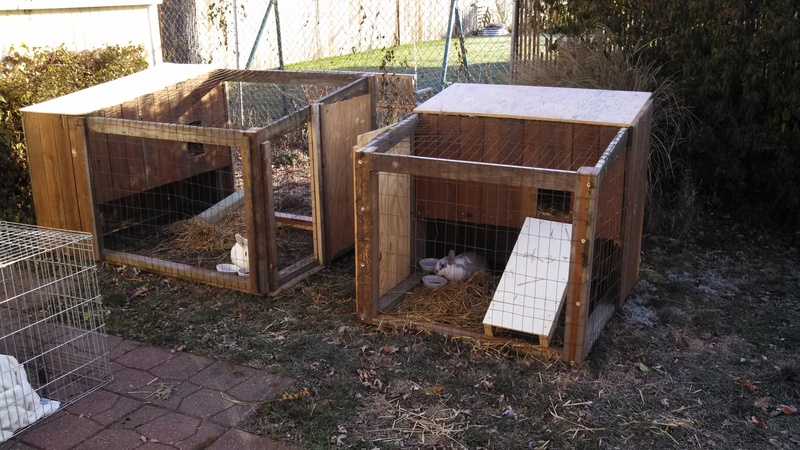 As we prepare for our first backyard chickens and experience our first winter with backyard meat rabbits, I’ve been reflecting a lot on what it means to ease into urban farming. There is the personal gains of having close at hand quality nutritious food and coming to see the interconnectedness of life more closely than I could ever imagine. There is the environmental impact when we move from the lawns that, square foot to square foot, take far more petrochemical inputs and release far more run off than any farm. But today I think especially of the civic duty. I wonder if the victory gardens should not have stopped at the end of World War II but continued and expanded globally. Even if each of us produced only a portion of our own fruit, vegetables, and meat, how much would that decrease the need for unsustainably large industrial and family farms and the government subsidies that support them? Could the savings be used to invest in other ways to fight poverty? Could the surplus from our gardens likewise be used to fight hunger, for instance, by leaving a corner of our gardens for community harvest? Could sharing ideas, labor, seeds, and pollen (by planting different varieties when cross-pollination is needed) serve to build stronger neighborhoods? Could contributions to community gardens serve to expand the impact community-wide? That leads me to wonder, when I think about expansive lawns, whether our choice of quality urban living is really a choice to take goods and services without giving back, without thinking about the common good and fair share? So today I think about personal gain and minimized environmental impact not as the end-points, but merely the starting points in a broader action of civic duty. Earth Care, People Care, Fair Share is not a permaculture motto of inward individualism, but outward common good that includes people and environment. Today I think about Pete Seeger singing all the verses to Woody Guthrie’s anthem, “This Land is Your Land”* and I recognize again that this land, starting with my yard, was made for both you and me.